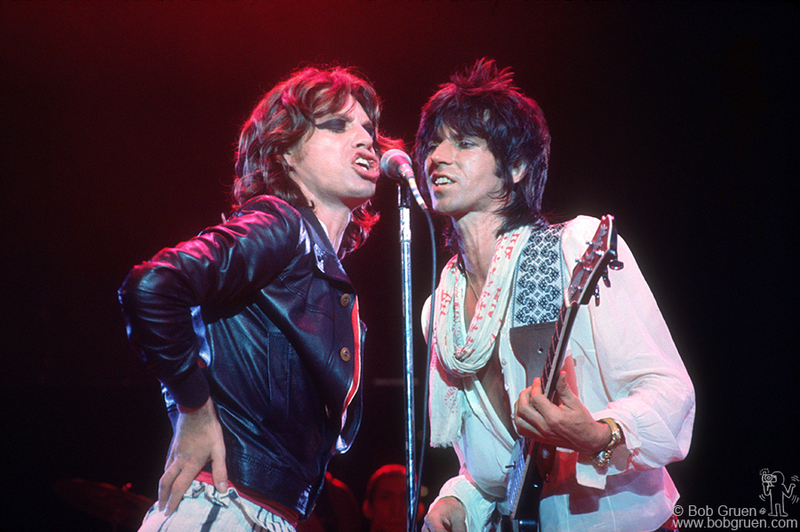 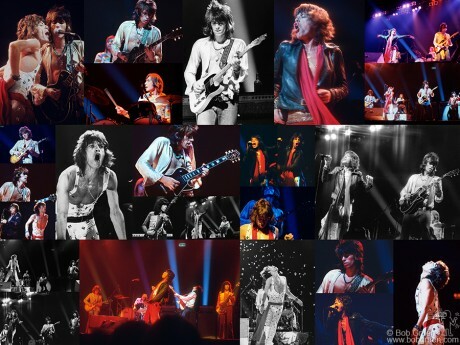 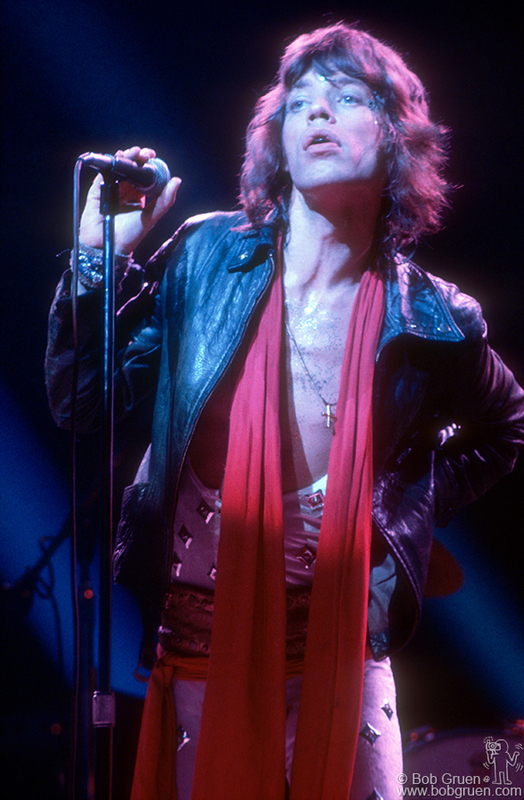 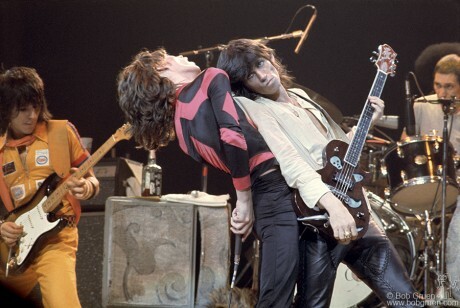 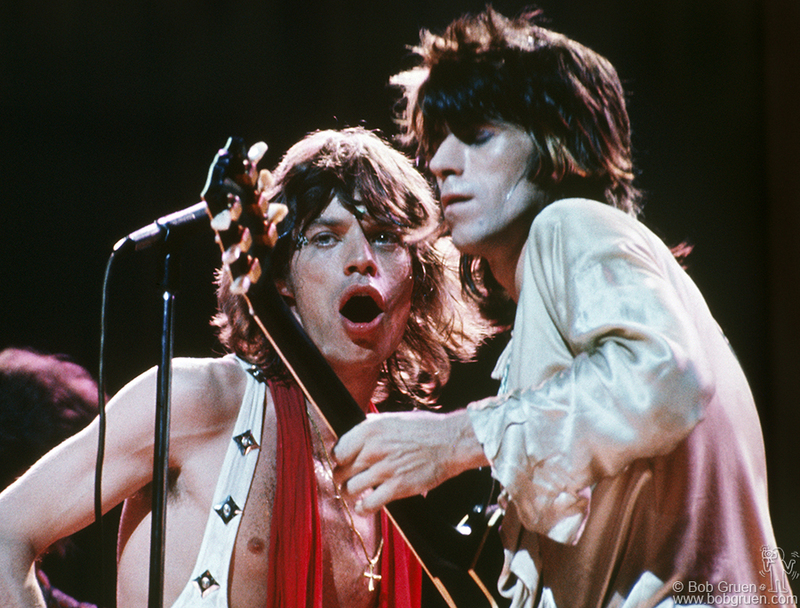 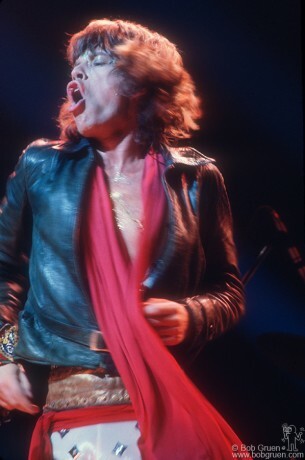 The Stones concert at Madison Square Garden in 1972 was the first time I had a photo pass to shoot them and I was able to get a lot of good, clear, close shots. 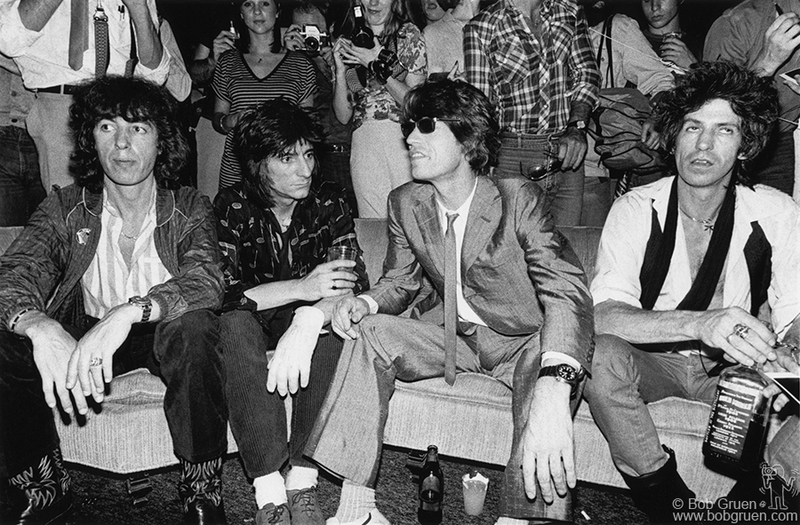 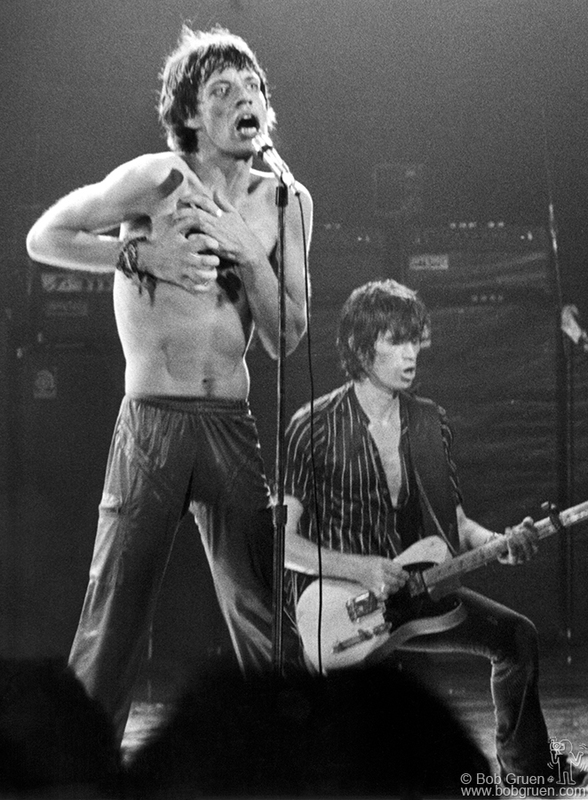 I first saw the Rolling Stones at the Academy of Music in 1965 and ever since then they have been the image of Rock & Roll for me. 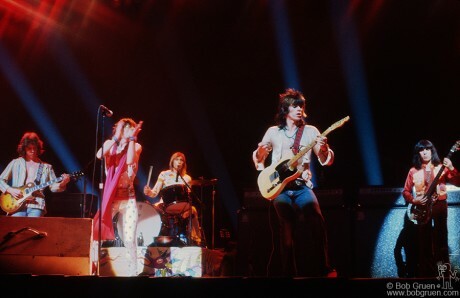 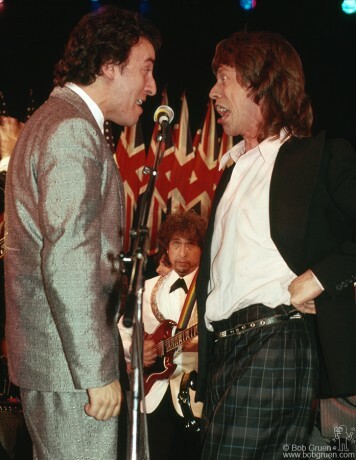 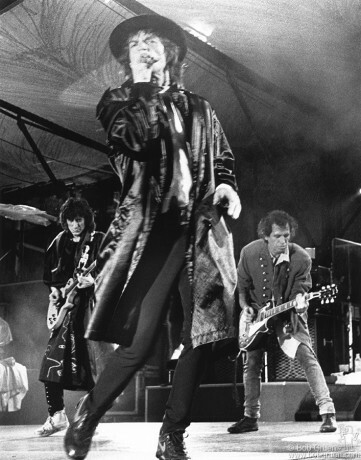 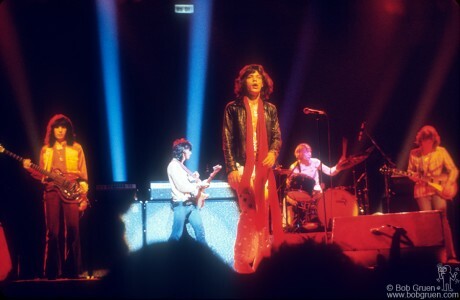 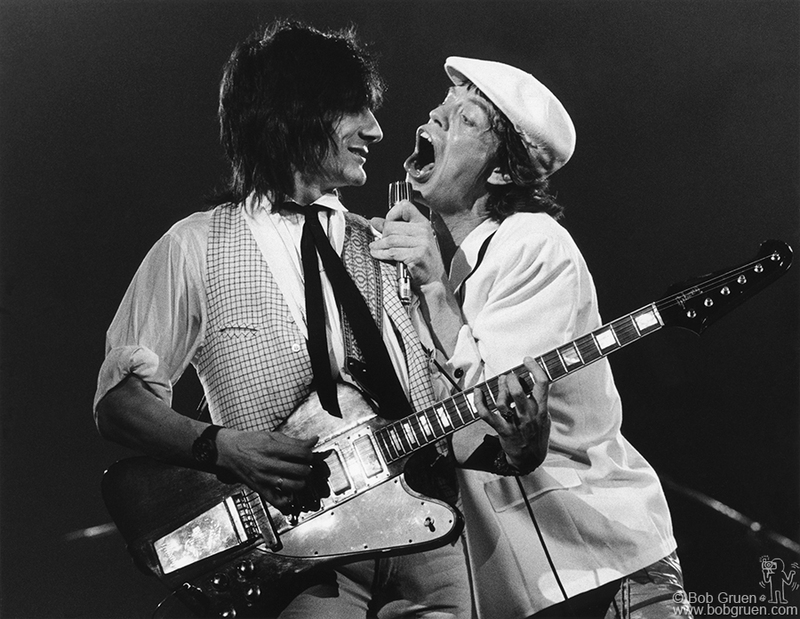 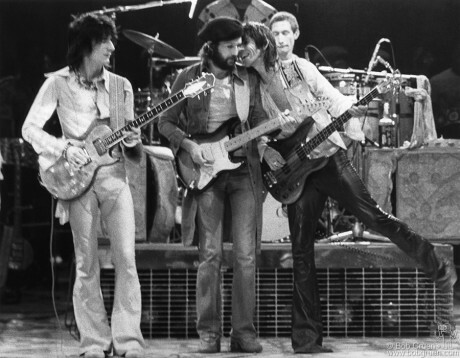 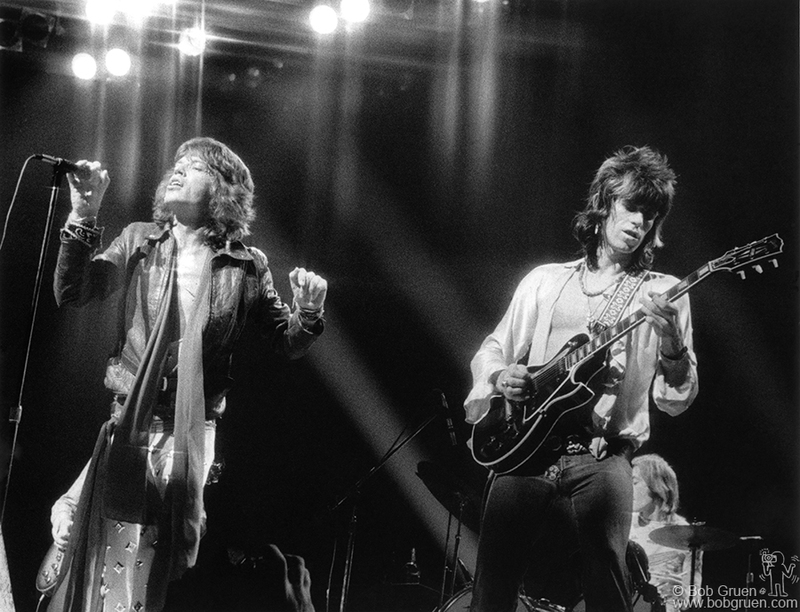 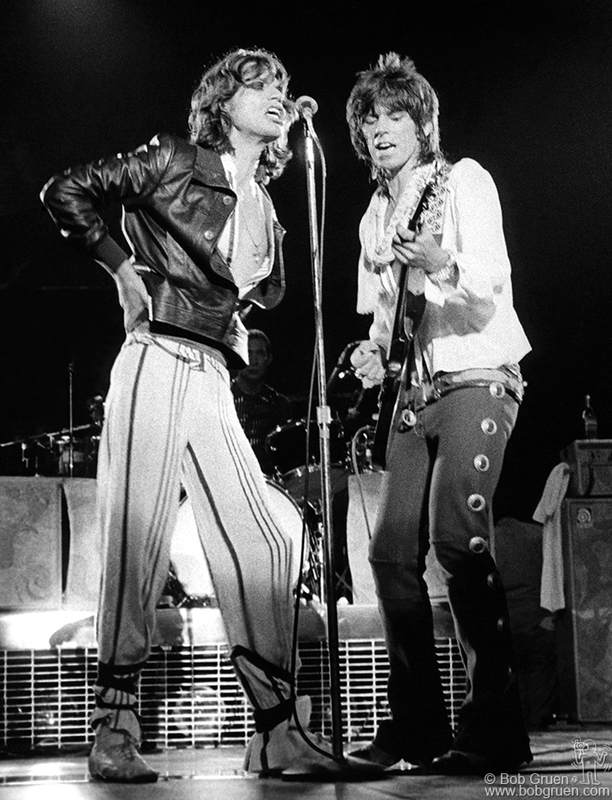 For this show the Stones had a specially built lighting rig with powerful “super trooper” spotlights onstage shining upwards towards mirrors that reflected the light back down on the band, making for sharp and clear photos. 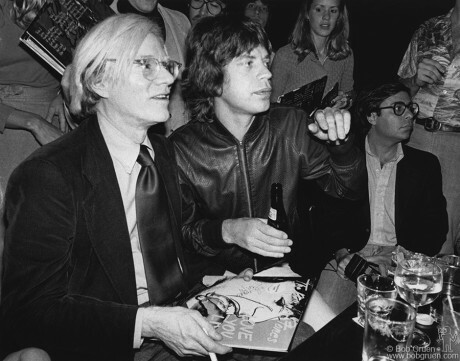 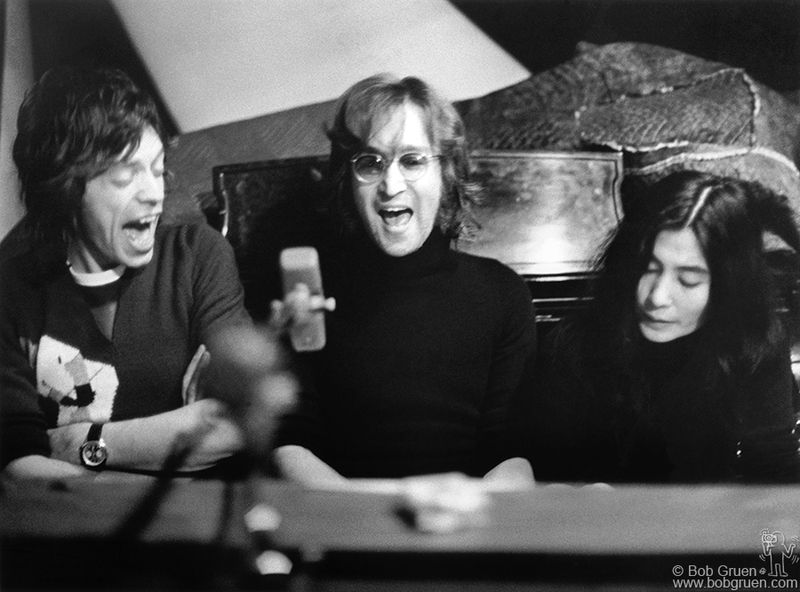 Mick Jagger came to visit John and Yoko at 3 o’clock one morning while they were recording at the Record Plant. As he was leaving a few hours later some people who were making a video documentary in the hallway asked if he would sit for an interview and he sank to the carpet just under their camera and let them ask him a few questions. 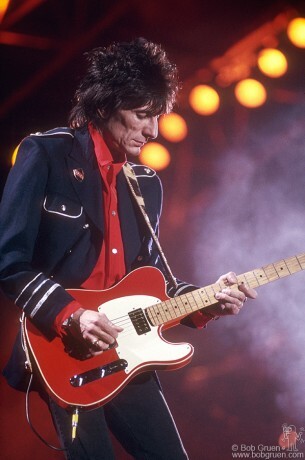 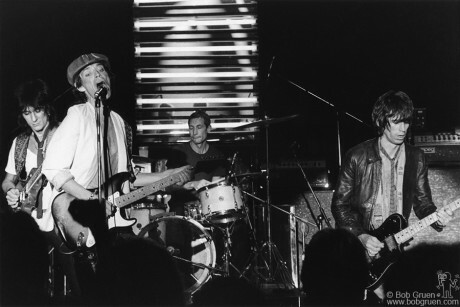 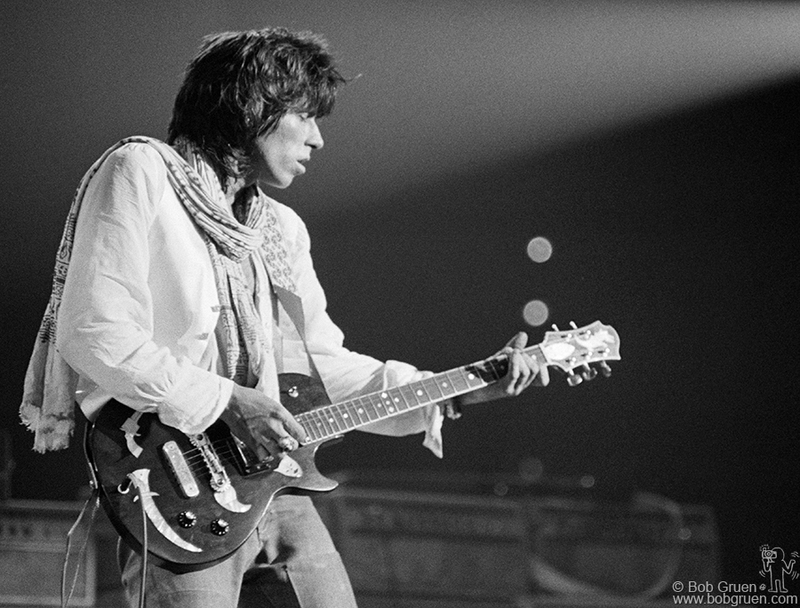 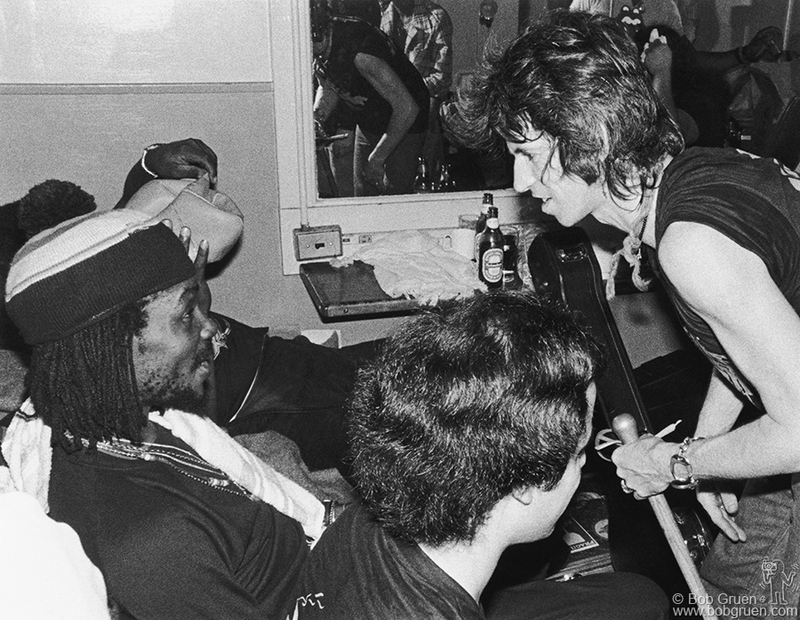 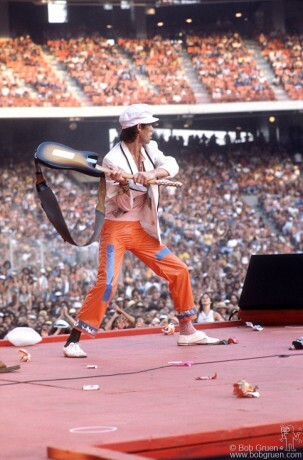 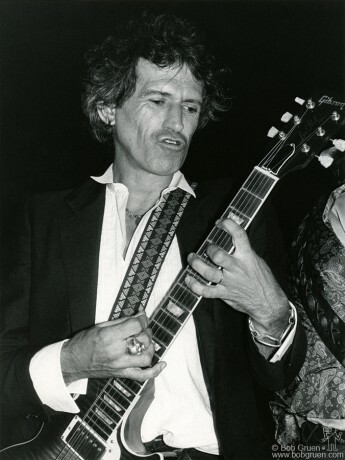 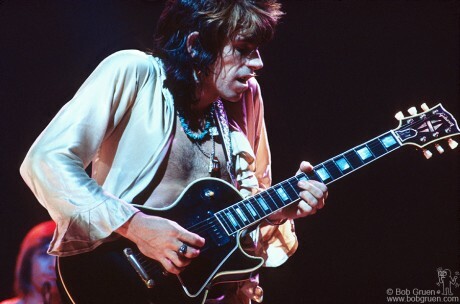 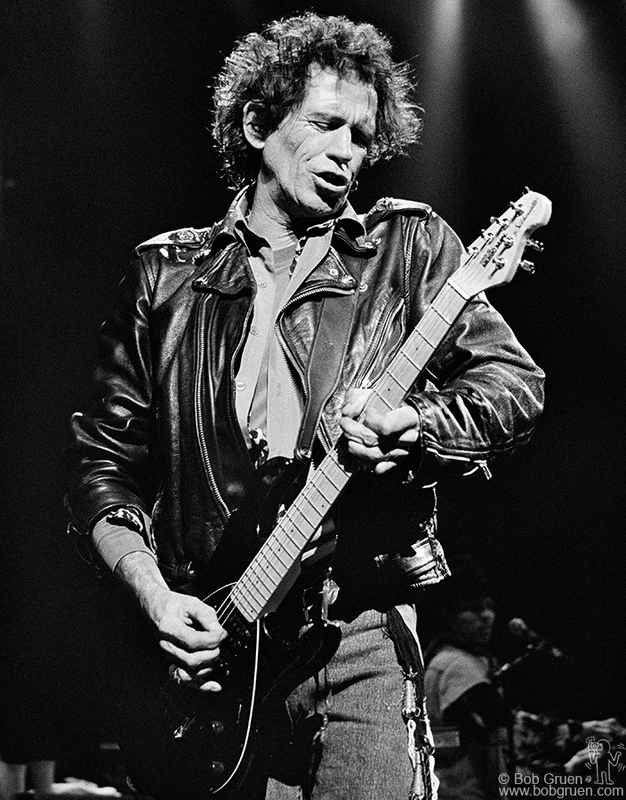 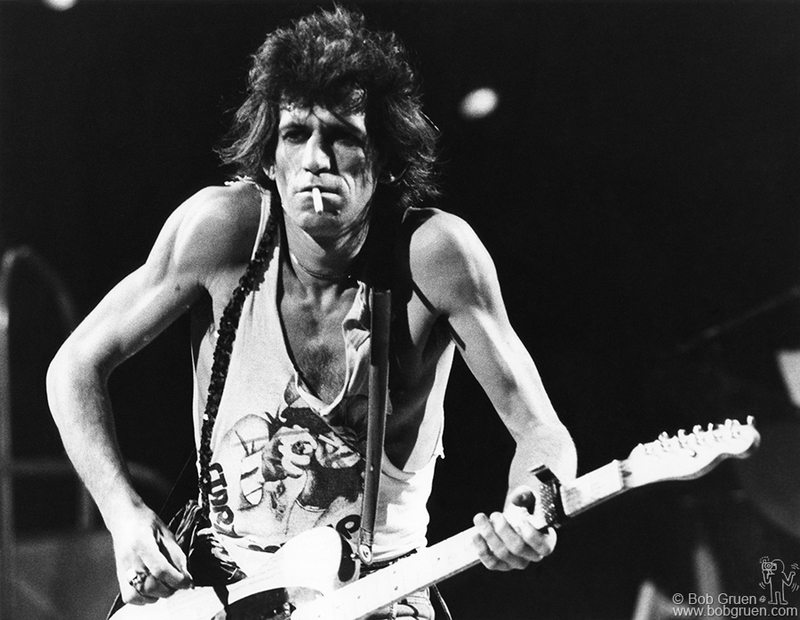 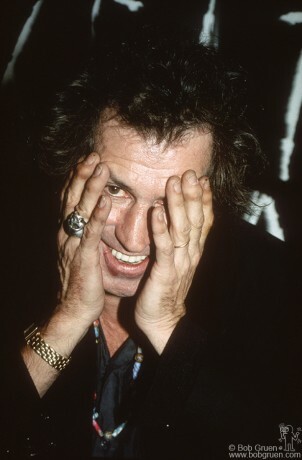 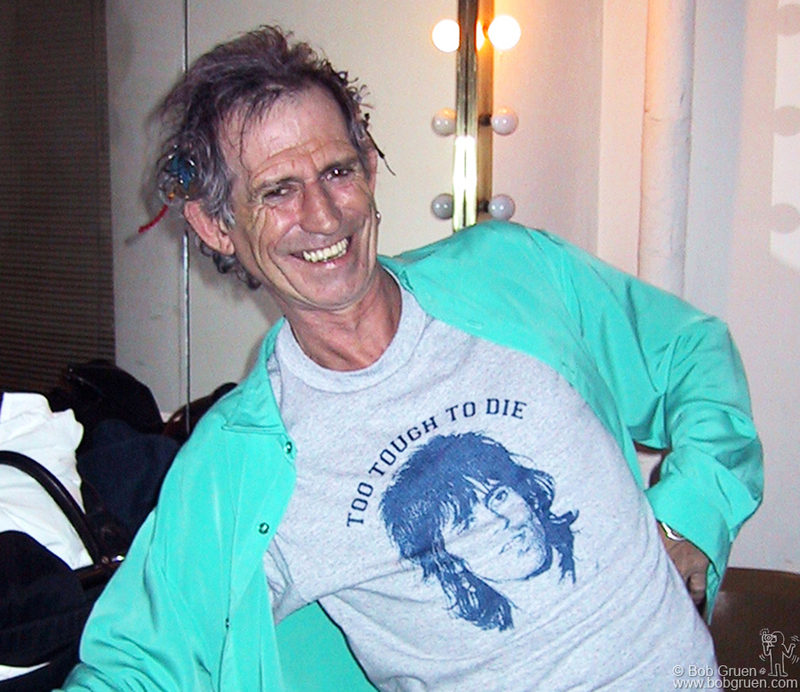 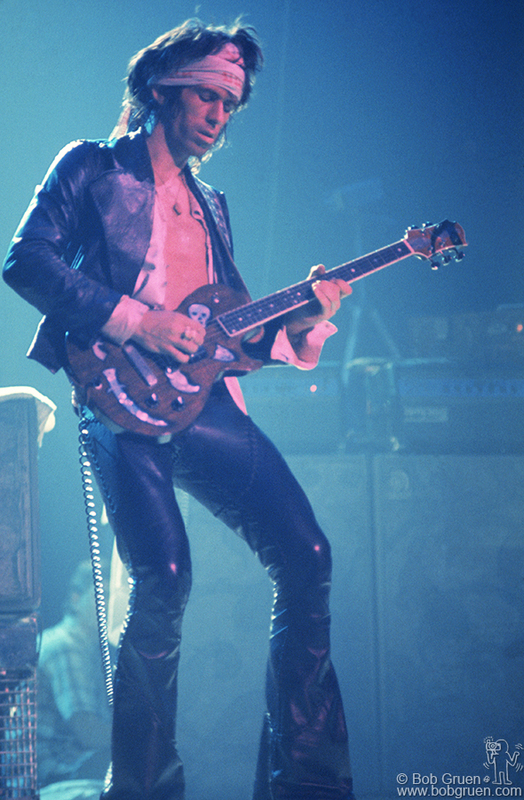 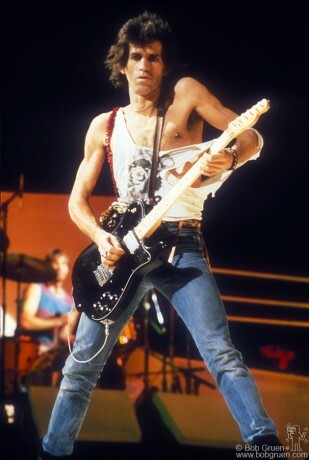 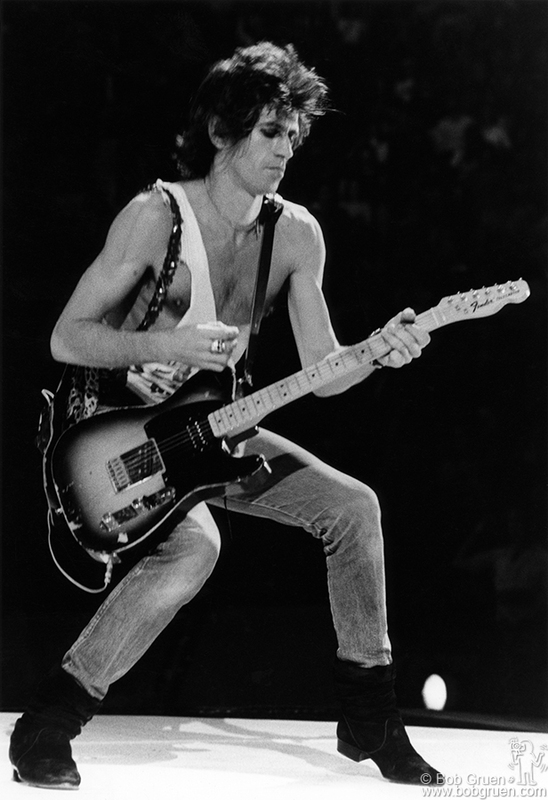 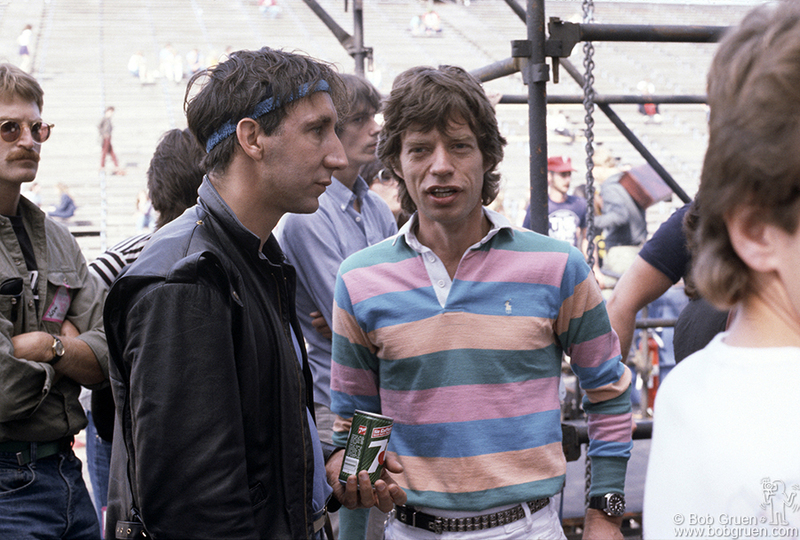 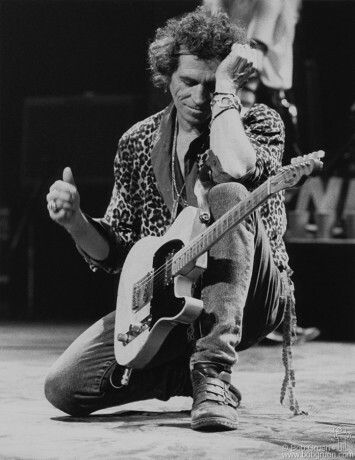 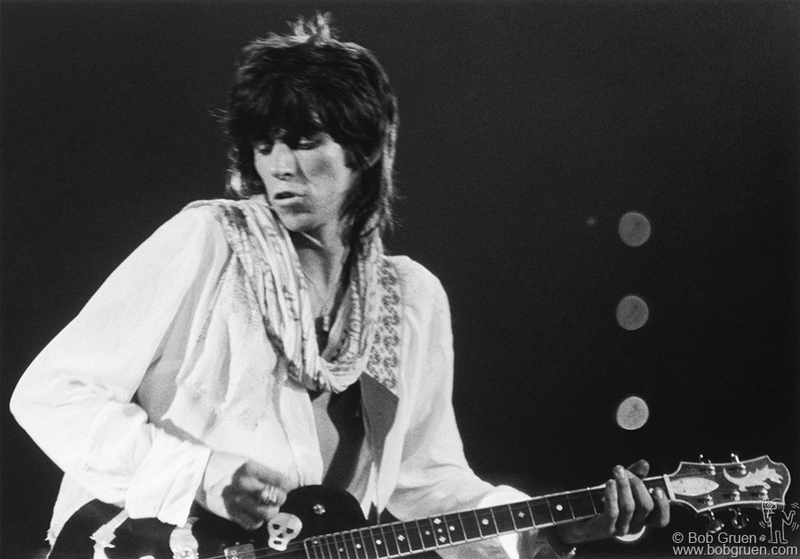 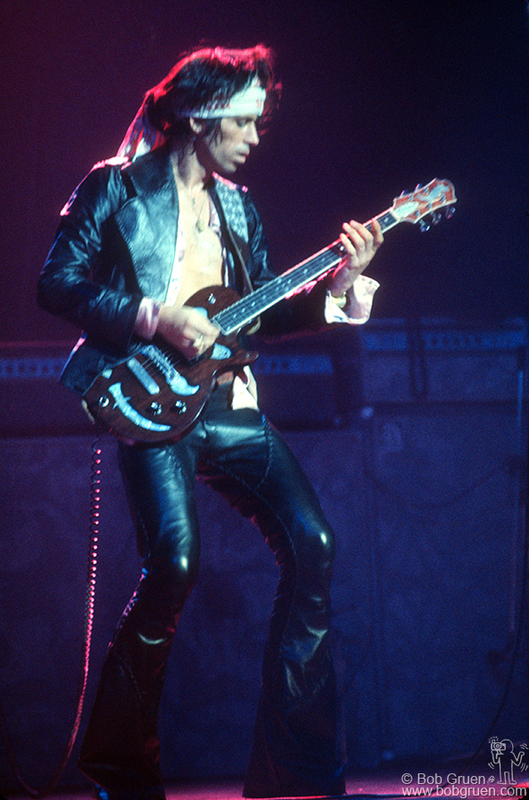 Keith Richards went on a solo tour to promote his album “Main Offender”. 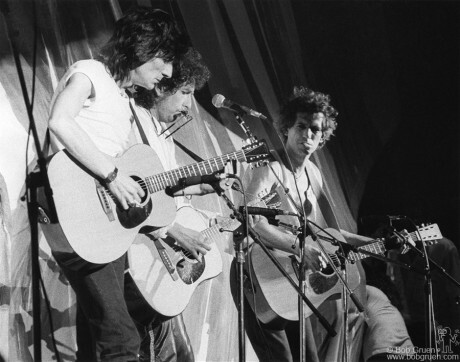 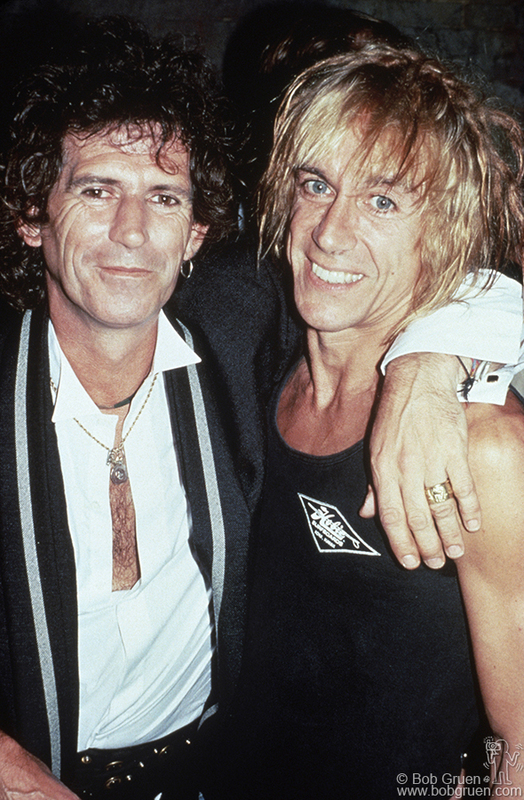 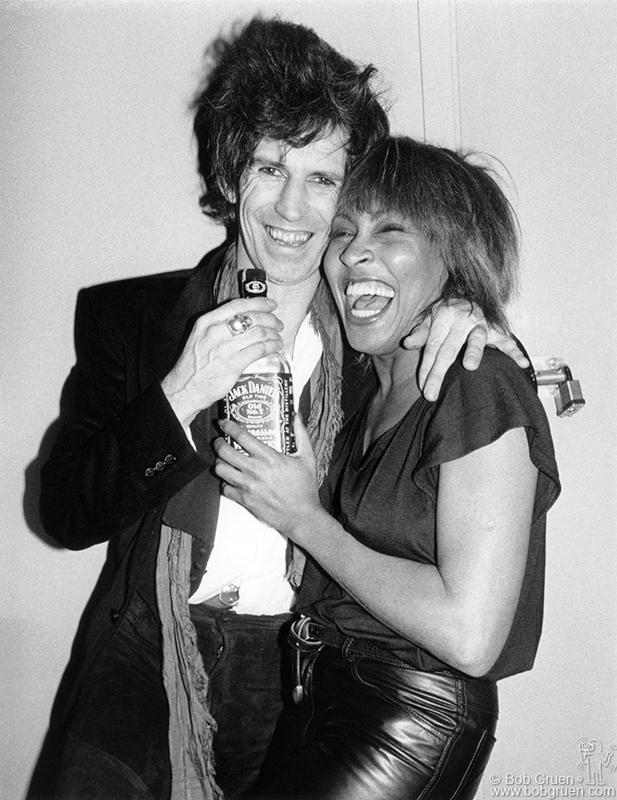 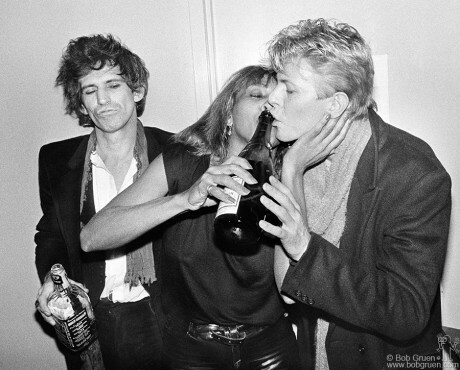 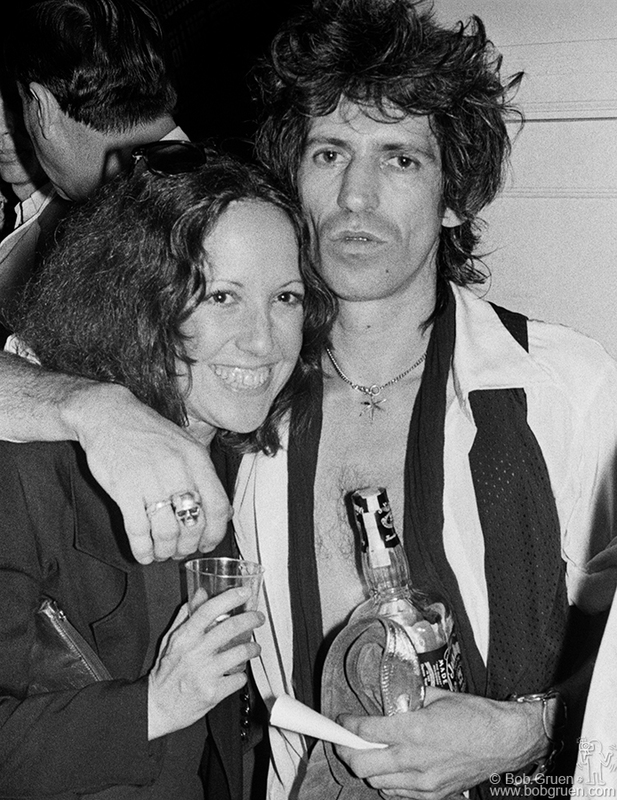 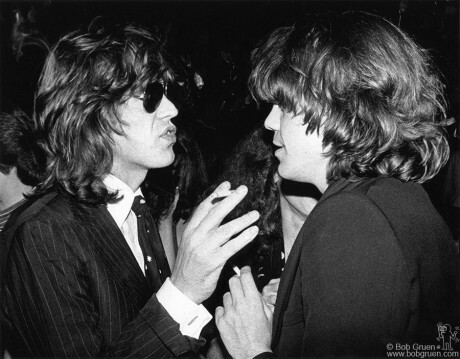 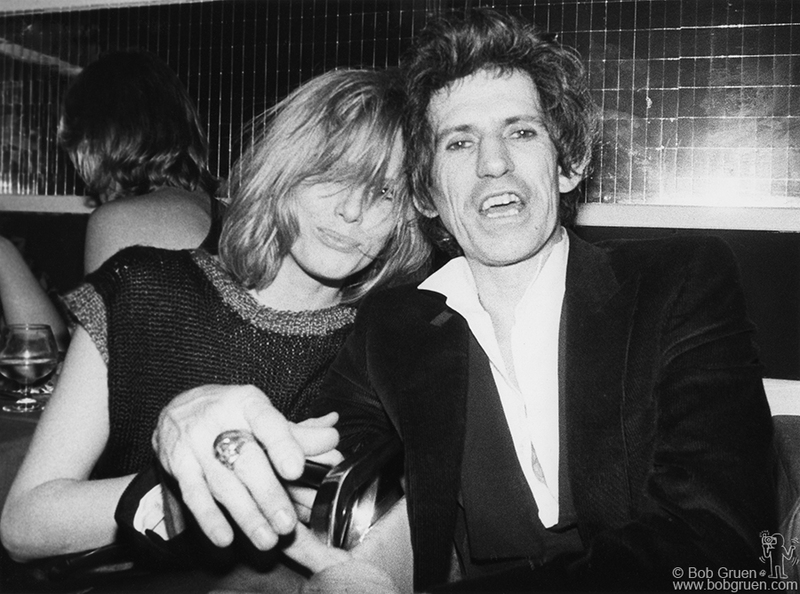 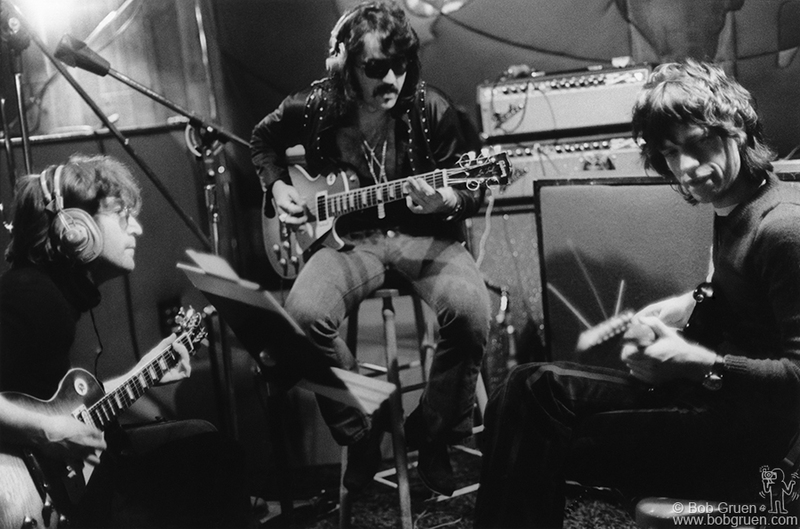 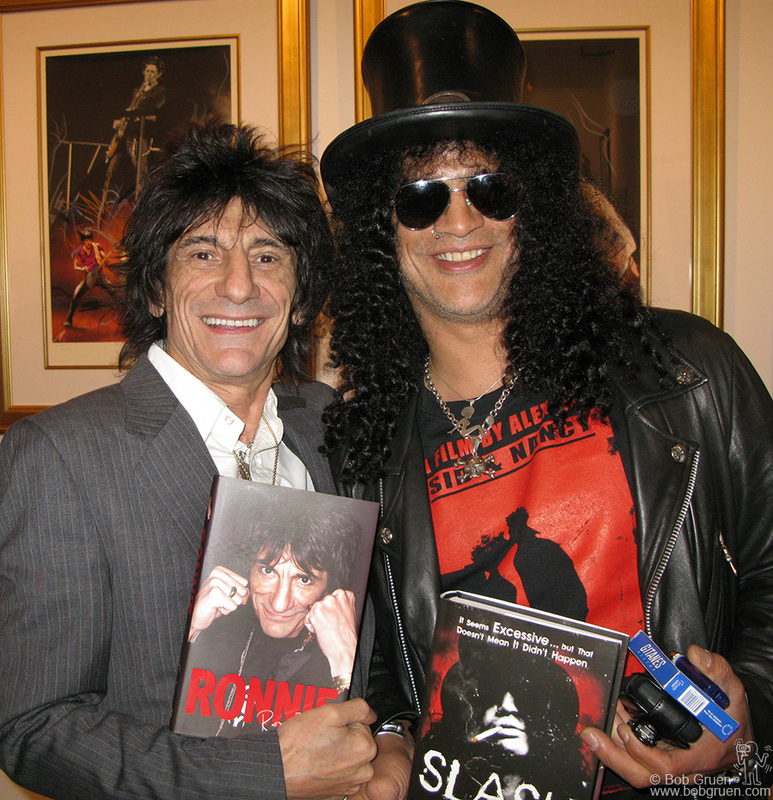 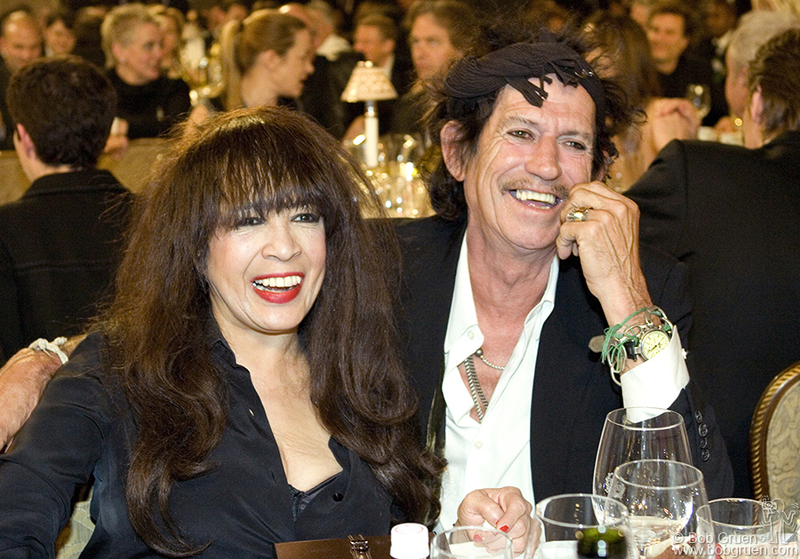 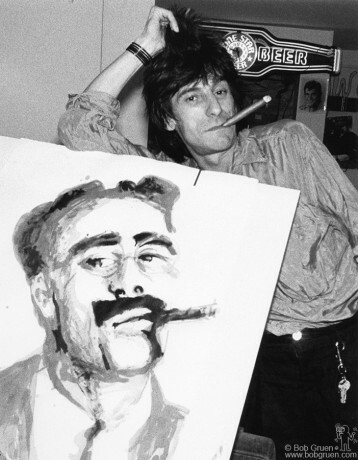 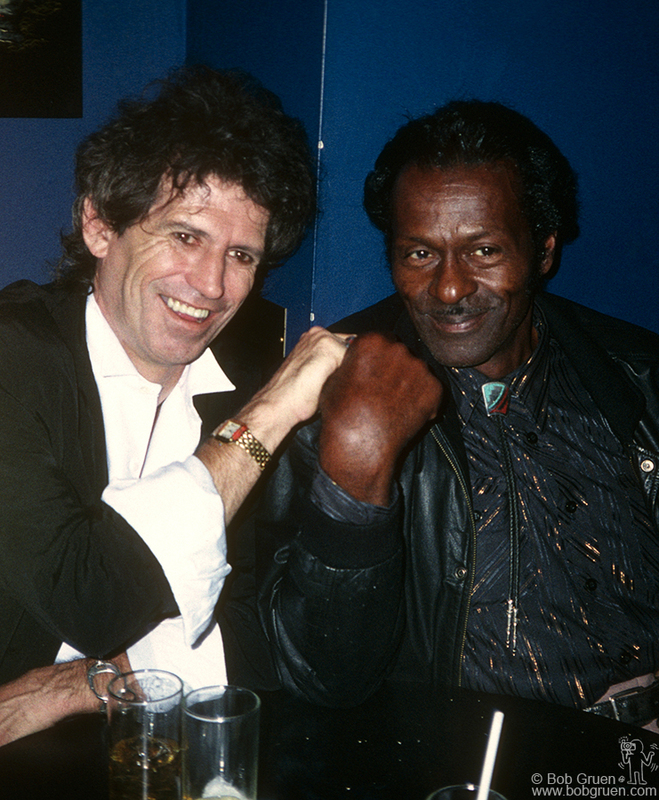 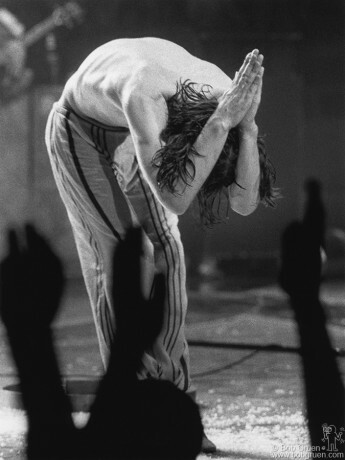 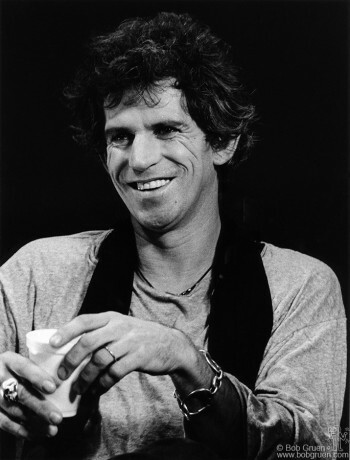 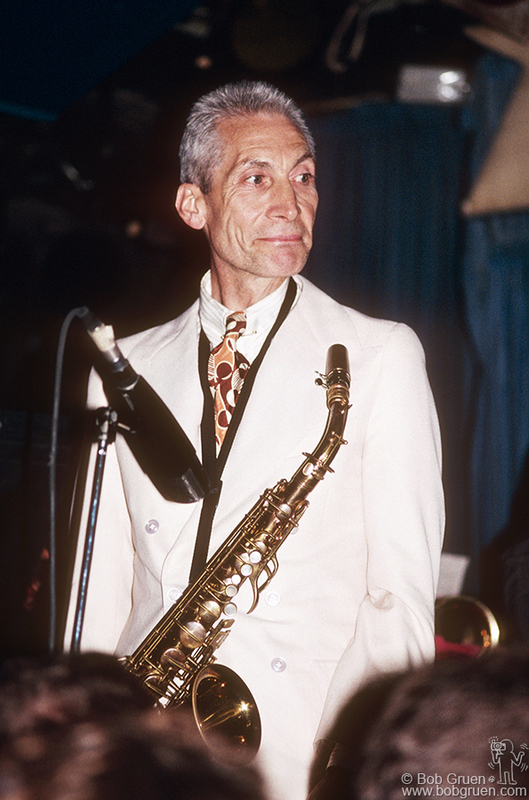 When he played he would sometimes pause and seem to appreciate his success – a spiritual side of Keith not usually seen. 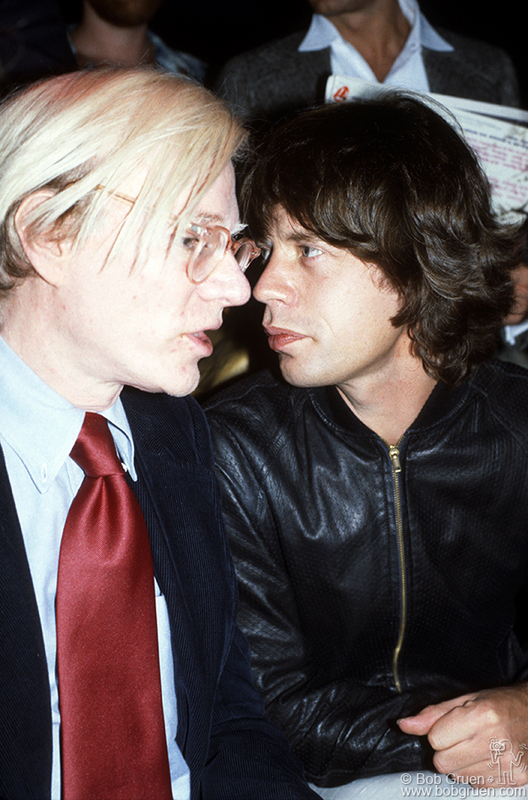 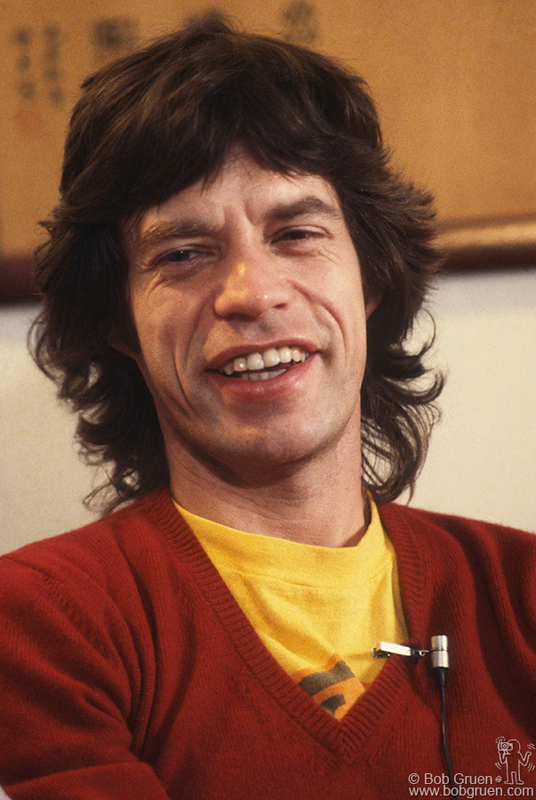 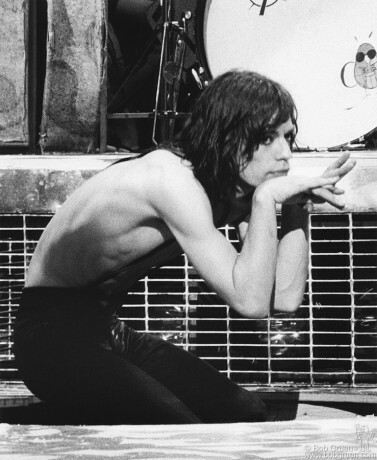 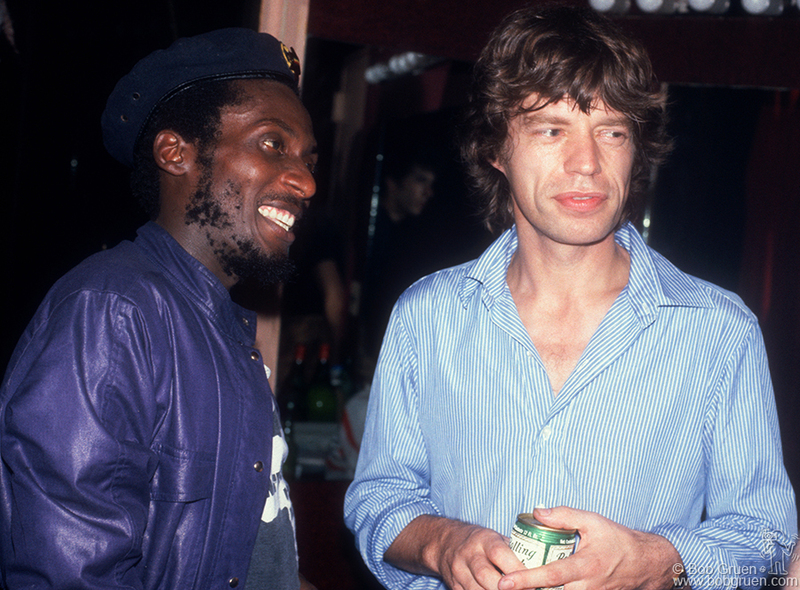 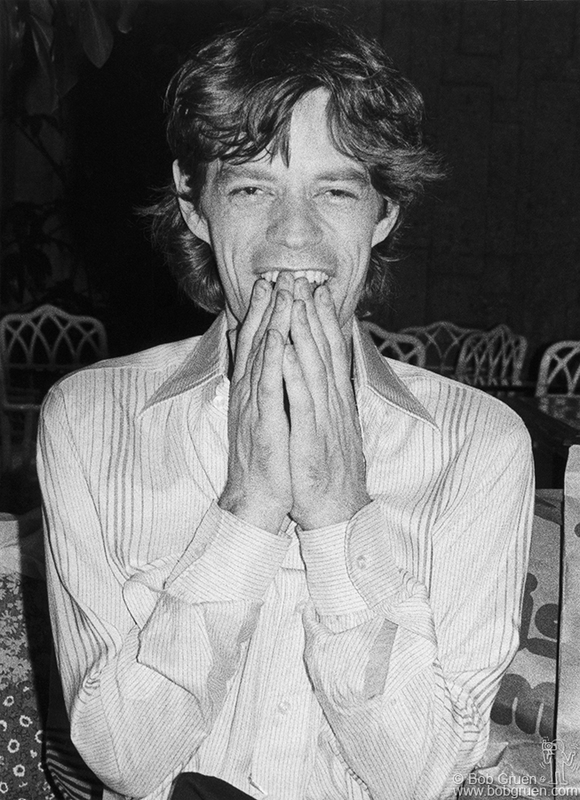 When I first showed this picture to a friend of mine he said he thought Mick Jagger wouldn’t like it, but I disagreed saying that his lips looked like the band’s logo. 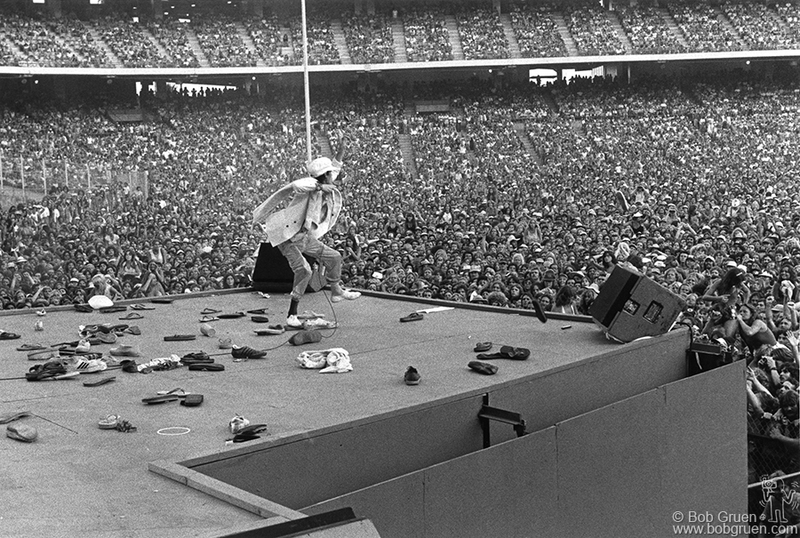 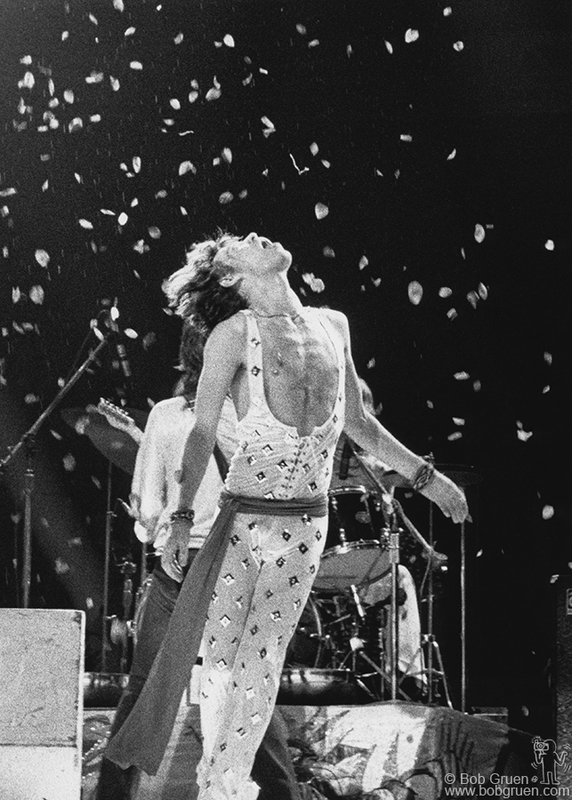 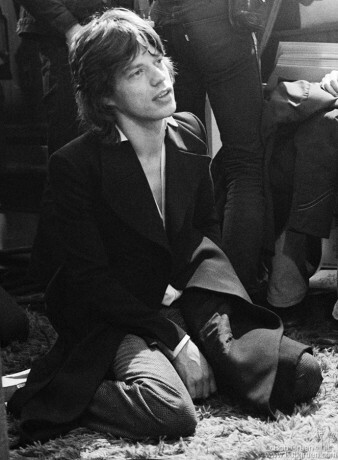 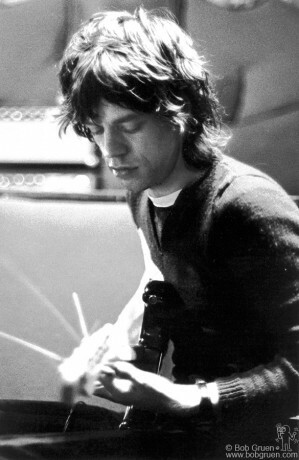 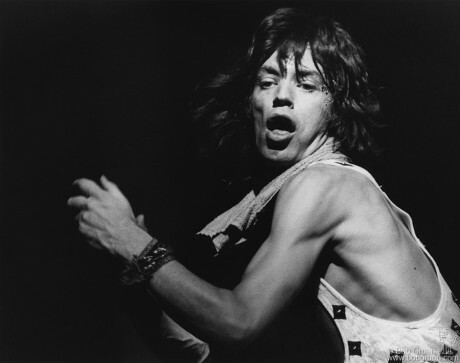 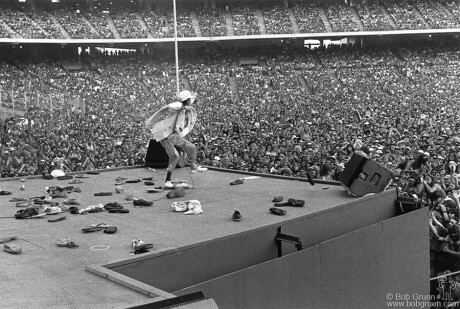 Towards the end of the Rolling Stones Show at Madison Square Garden in 1972 Mick threw several handfuls of rose petals into the air and then seemed to float under them as they fell to the stage. 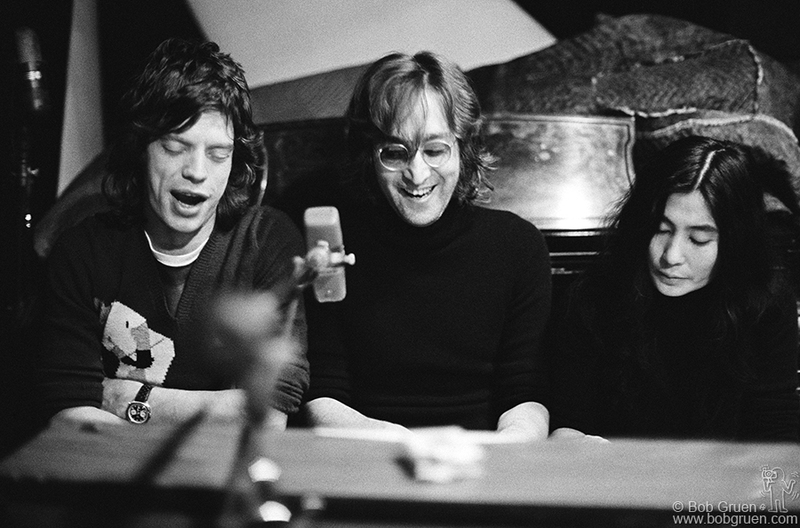 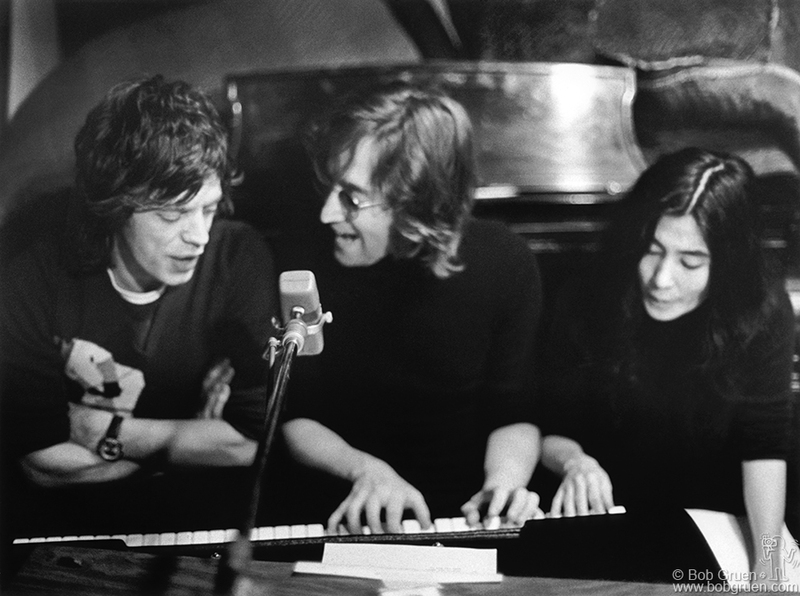 While visiting John & Yoko’s recording session at the Record Plant in NYC Mick joined John & Yoko behind a piano to sing along on a song Yoko had just written and they seemed to all have a lot of fun together. 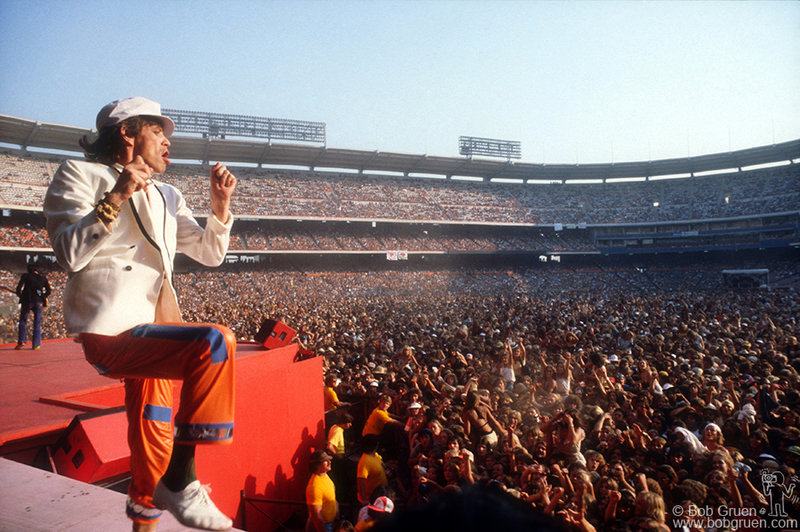 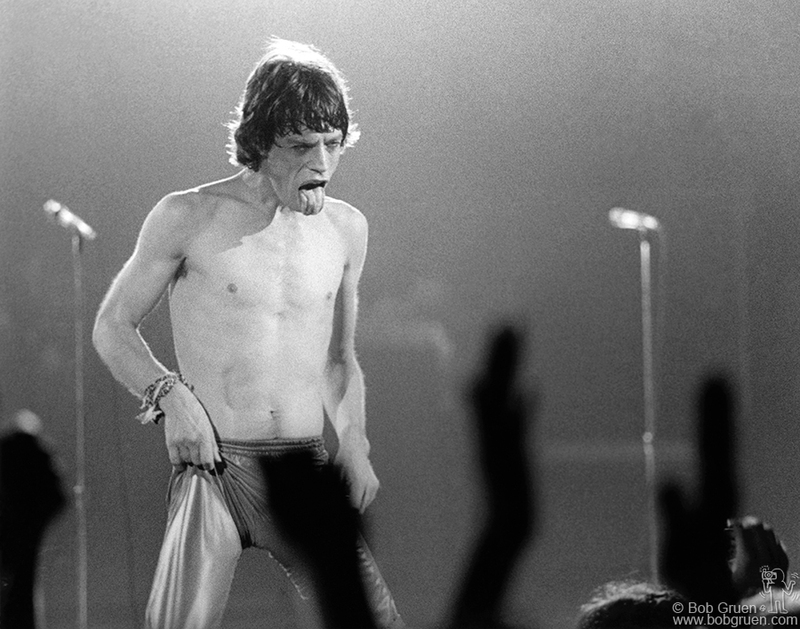 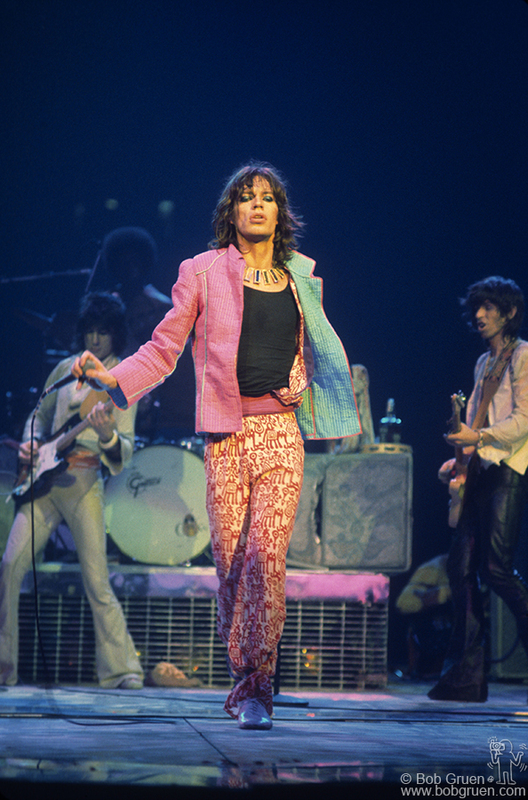 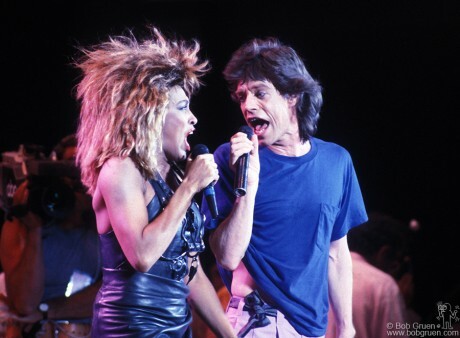 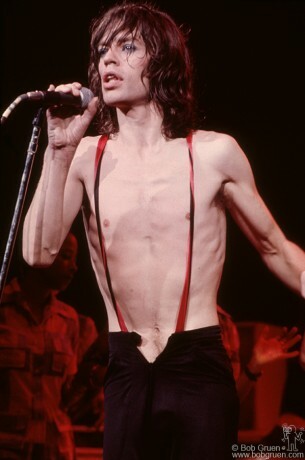 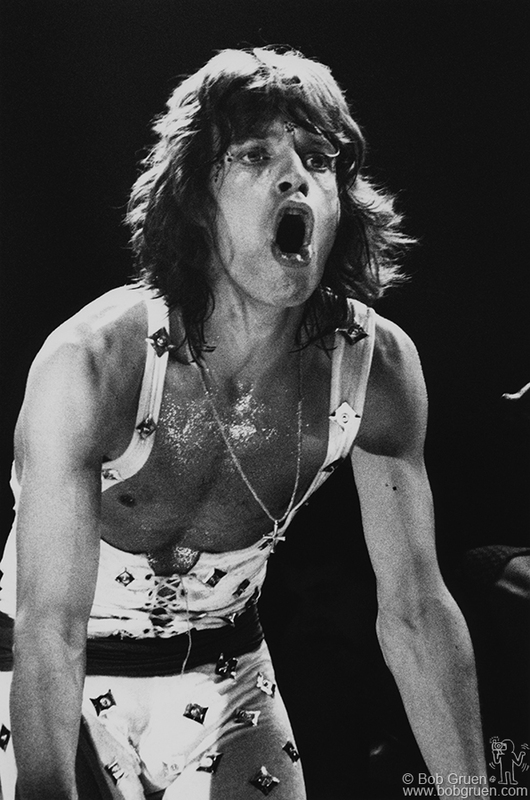 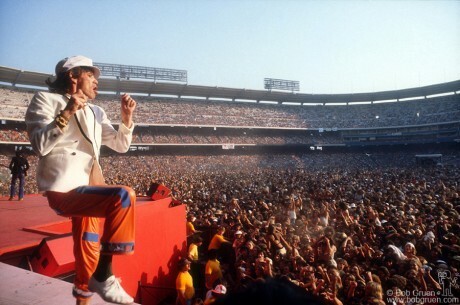 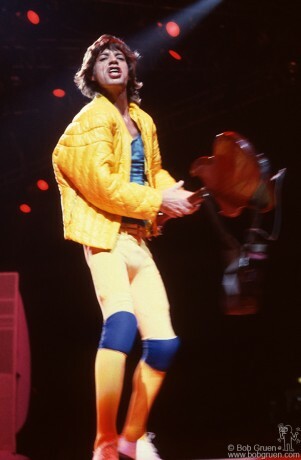 Mick Jagger looked scary as he came up through an opening in the stage at the start of the Rolling Stones’ “Tour of America” show at Madison Square Garden.